PaperCraft maintains distribution centers that meet the highest standards of efficiency, cleanliness, climate control and security. 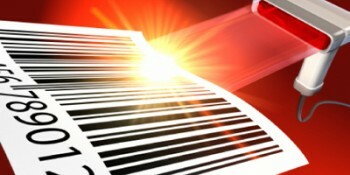 Our computerized barcode and scan system ensures that your products are tracked every step of the way from entry to storage to final delivery to your business. Air temperature and moisture content are continuously monitored for optimal storage conditions of all your PaperCraft products. Video surveillance and a modern alarm system ensure complete security 24/7. PaperCraft’s trucks deliver your products next-day to the DC Metro Area with same-day rush delivery available in cases of emergency. 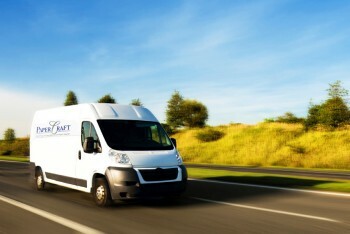 Our professionally trained drivers make inside delivery of your items to the exact location you prefer. PaperCraft will pick, pack and prepare any of your products for deliveries outside the DC Metro area by the commercial carrier of your choice. Do you charge for warehousing and delivery? No. Storage and local deliveries from our warehouse of your inventoried product are free! It’s all part of our commitment to service and long term relationships.